One of the "hate" reasons on my love-hate relationship with Christmas parties is wearing costumes. As much as you want to be cooperative, some costume themes would force you to spend for unnecessary items just to complete your look. You wouldn't want to go underdressed either for fear of being mocked as a KJ or "kill joy". 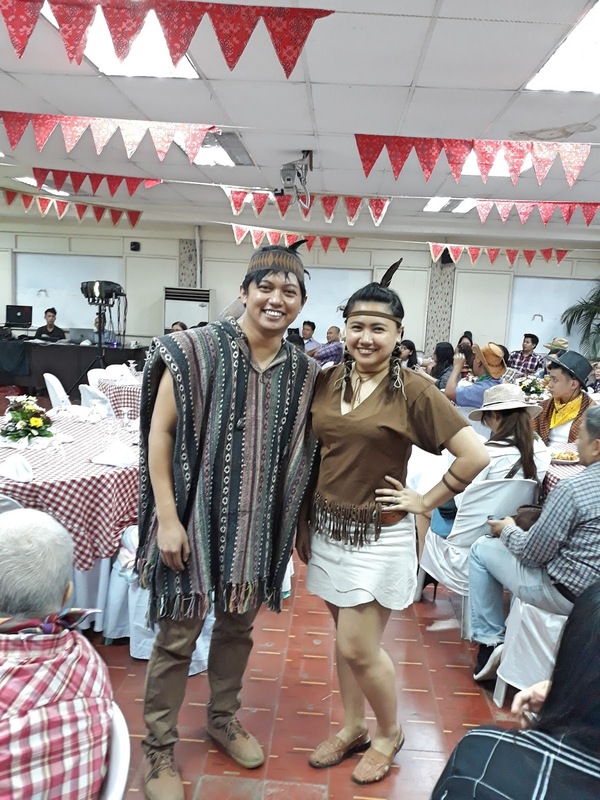 Last year, our office's theme was Wild Wild West. Most people would think cowboys and cowgirls, county sheriff, etc. I thought of the Native Americans, 'cause they're actually the first inhabitants of the wild west. 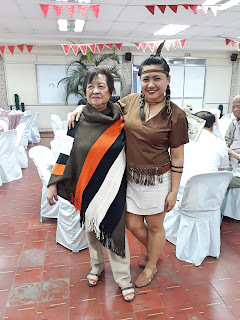 And I thought that wearing something that resembles Pocahontas would be easy and cost-effective if I can only find the right or close-enough items. And I did, at my favourite ukay-ukay branch. 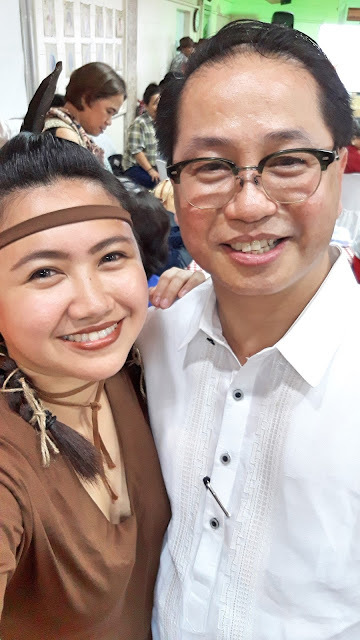 Total money spent on this costume: Php105 (~$2). 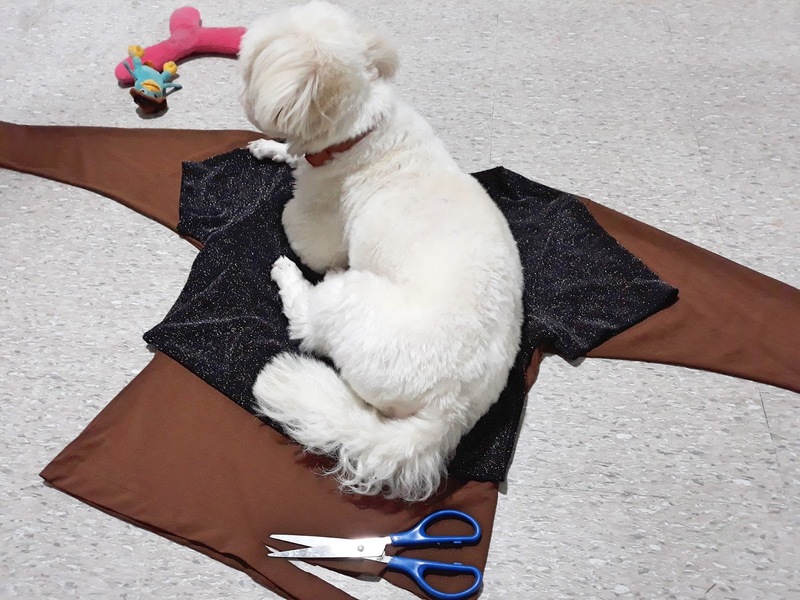 Brown top, Php35 -- It had long sleeves so I had to cut them off. I used the trimmings as accessories. I added frills on the lower part for effects. Skirt, Php20 -- It was really big for me but I didn't want to spend money for alterations, so I just chose to buy a belt. 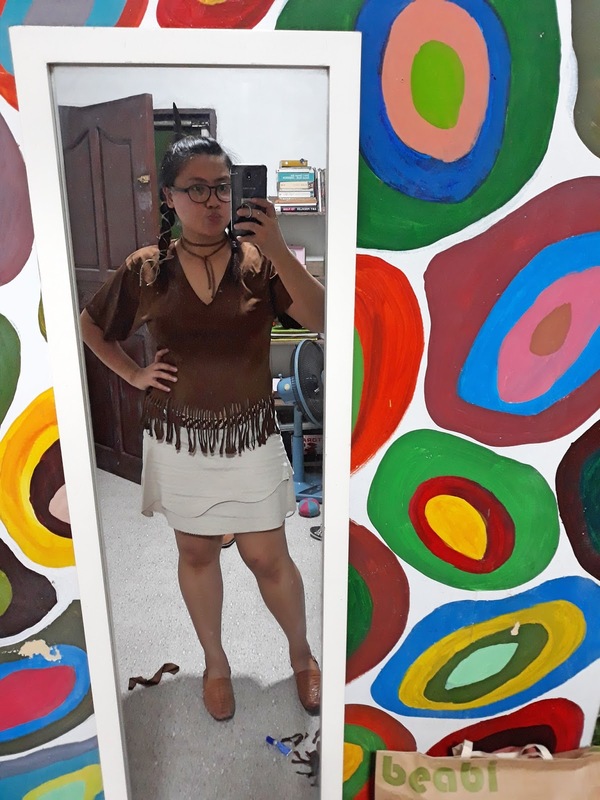 Belt, Php50 -- an Esprit braided belt made with brown and beige leather (matched my top and skirt perfectly). It needed some glue works. Easy fix. For accessories, I found a brown shoe lace that I used as choker. Then I asked our neighbour for a piece of his rooster's tail feather. I still had a lot of hemp yarn left from our wedding decor so I used that as hair accessories, as add-ons to my braids. As for the brown sandals, I already had these as a gift by my grandmother-in-law years back. Krum doing his best to prevent me from working on my project. I used my favorite shirt as pattern for the length of the sleeves that I want.